Things have changed for Balance And Composure. Following a potentially life-threatening car accident, which left their van wrecked and a number of shows cancelled, the quintet have openly discussed their shift in perspective on life since. It’s something that definitely comes through on new album Light We Made, their first since 2013’s The Things We Think We’re Missing and the incident. On it, they seem to have tipped the scales in favour of the swirling, dreamy side of their previous material instead of the more accessible one, and it definitely works in their favour. Just look at single Postcard, a beautifully understated track which goes from a minimalistic intro to a full-on wall of sound in its four-and-a-half minutes. There aren’t any huge choruses like on Quake or Tiny Raindrop from their previous releases, and it really helps set Balance And Composure away from the current, samey emo crop. Something to note straight off the bat is that this album is not going to appeal to all existing Balance And Composure fans. It’s not an album made up of particularly distinctive songs, and has much more of an impact when listened to as a complete finished product. More controversially though, it’s the band’s most polished release to date in every sense of the word – the guitars are clean and slick, traditional drums replaced with synthetic beats, and frontman Jon Simmons’ voice uncharacteristically rasp-free, pulling off a never-before-heard foray into higher octaves on opener Midnight Zone. In fact, it’s his voice that illustrates the change in sonic direction best. It’s no longer the dominant aspect of the tracks – older material showcases his textbook emo vocals singing lyrics practically meant for Tumblr edits – but instead works with the rest of the band, together forming a luxurious texture it’s all too easy to lose yourself in. They aim to portray moods with the music rather than the lyrics this time around, and the dark, lust-fuelled For A Walk and downright eerie closer Loam (which uses AutoTune to warp Simmons’ contributions) are near impossible to tear yourself away from, no matter how uncomfortable they are to listen to. As mentioned before, it can be hard to make distinctions between tracks on Light We Made, more so at the back end of the record. The run of Call It Losing Touch, Fame and Is It So Much To Adore sit comfortably in the middle between hazy and guitar-led songs and bleed into one another as a result. If this were a typical song-song-song album, it could seriously affect its overall flow. But it just strengthens the vibe Balance And Composure have created on Light We Made – it’s so chilled out that it’s hard to notice a dip in any kind of quality song-wise. But considering this album is transitional looking at the wider picture that is their career, it’s definitely a confident-sounding addition to their discography, even if their next release is ridiculously far removed from what’s been created here. Light We Made might not be many people’s favourite Balance And Composure record, but it marks the start of an exciting time for them. 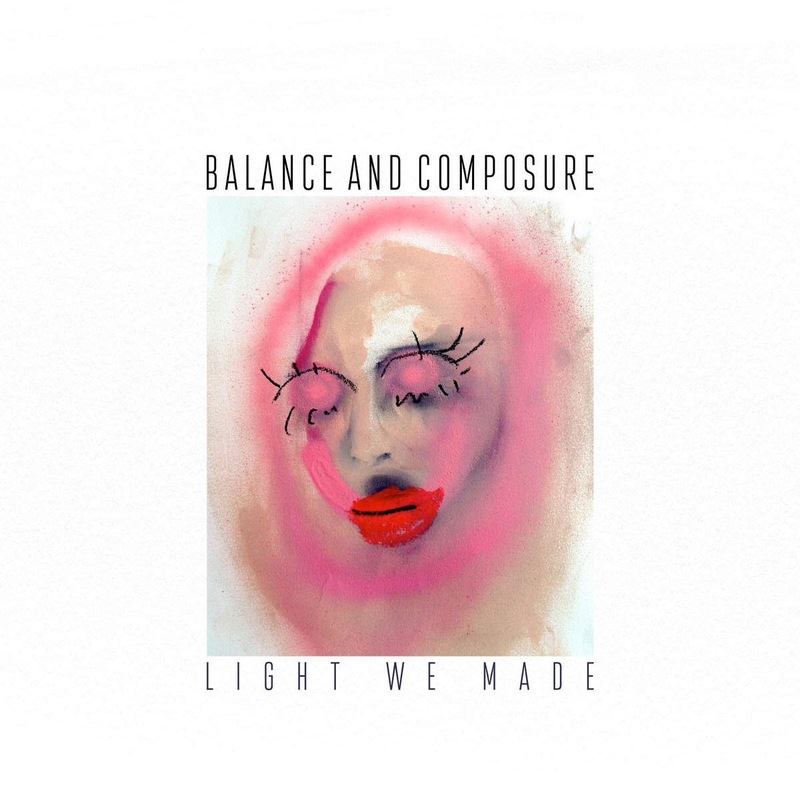 ‘Light We Made’ by Balance And Composure is out now digitally. It is released physically on 4th November on Big Scary Monsters.